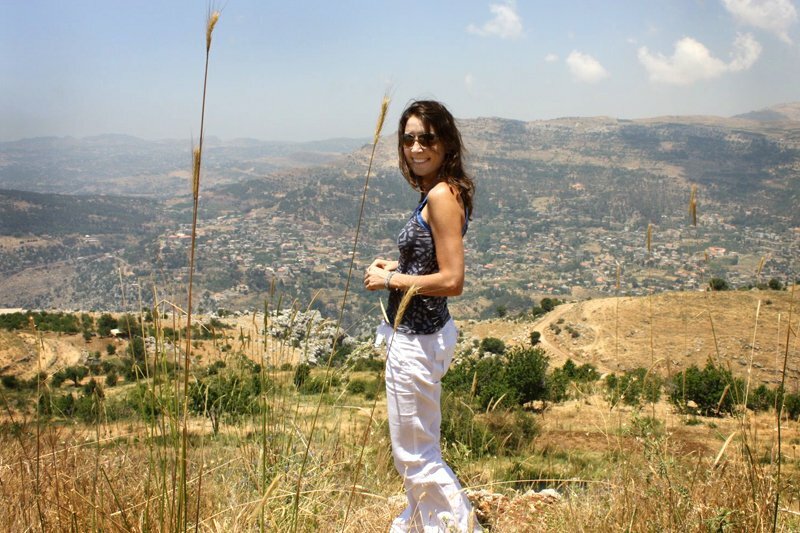 On the mountain top in Zaarour, Lebanon. Favorite destinations: Paris, Beirut, Dubrovnik, Vietnam. Dying to visit: Sub-Saharan Africa. Bizarre travel rituals: Upon arrival, unpack and repack my suitcase several times. In-flight relaxation regime: The upgrade. Always in carry-on: Raw cashews. See it all or take it easy? TOUT! Drive or be driven? Be driven. I'm an excellent DJ. Weirdest thing seen on travels: Roadside pooping in India. Best hotel amenity: A good shower cap. I dream about my meal at my Aunty Tamam's in Jouret al Balout, Lebanon. Everywhere I go, I check out the chocolate selection. When I arrive in a new place, I learn the lay of the land by taking the underground to a good yoga studio. I always bring home jewelry and local textiles. If I never return to Thailand it'll be too soon because of the creepy old white men. I travel for the fresh air.